One of the greatest albums ever by studio genius David Axelrod! The album's one of Axelrod's first on his own – cut for Capitol Records at a time when he was working with some of the label's biggest selling soul acts – like Cannonball Adderley and Lou Rawls – turning their already-successful sounds into super-hit material by adding some nice funky touches, and excellent baroque production. 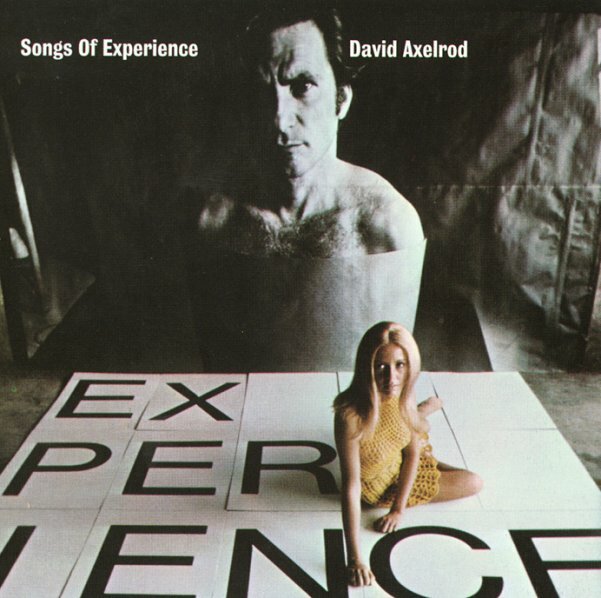 This album lets Axelrod fully explore his talents for larger studio arrangements and complex yet soulful instrumentation. The record is subtitled "an anthology of awareness after birth, based on the 18th century poems of William Blake" – and it features incredible arrangements conducted by Don Randi, played by a host of excellent LA jazz and studio players. The overall sound is spacey and dark, with nice touches of funk, and plenty of cool instrumental passages that have been sampled over the years by hip hoppers and other producers. Titles include "London", "The Fly", "The Human Abstract", "A Divine Image", and "The Sick Rose". Reissued with the original gatefold cover and everything! © 1996-2019, Dusty Groove, Inc.